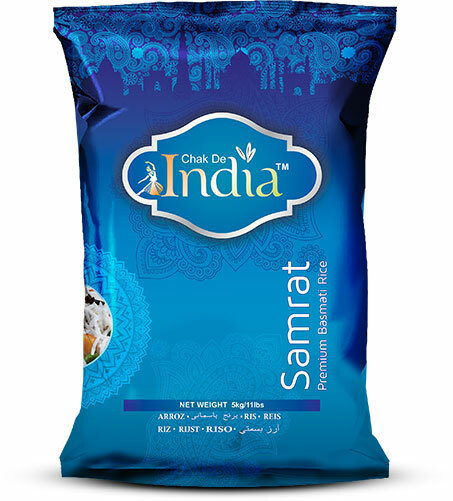 Chak de India is a premium segment of Basmati rice among all varieties. Its elongation after cooking & its fluffy texture addto its naturally distinct. The size of the grain after cooking becomes almost triple. BINDAAS brand specifies the quality as itself. Its smooth texture and thin long grains cook best to make delicious dishes. It gives a delightful experience. 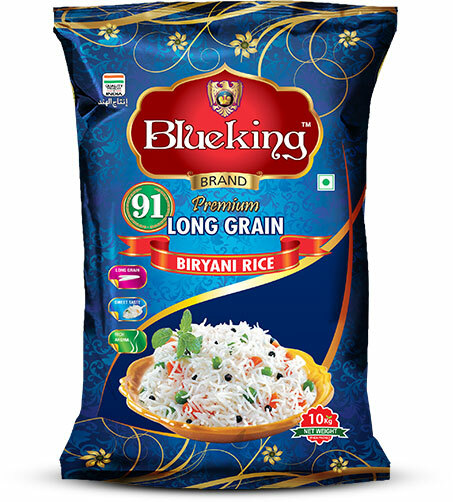 Blue king is one of the favorite Indian long grain rice sourced from the foothills of Himalayas & high yielding areas of Punjab region. Its specialty is in Biryani, Pulao, jeera & fried rice. It always remains the jewel of every kitchen, hotels & restaurants. Packing available in 5, 10, 18, 35 kgs. 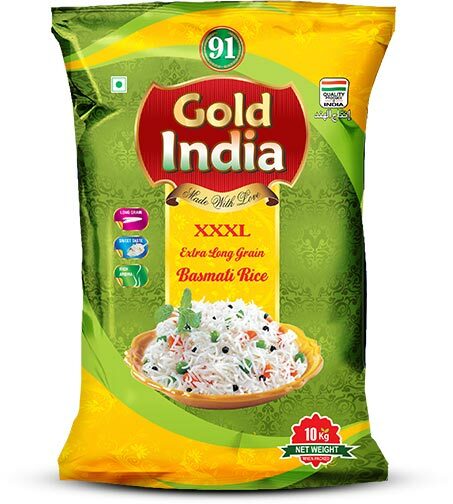 As the name suggests XXXL which means it is sourced and sorted with only lengthy grains. 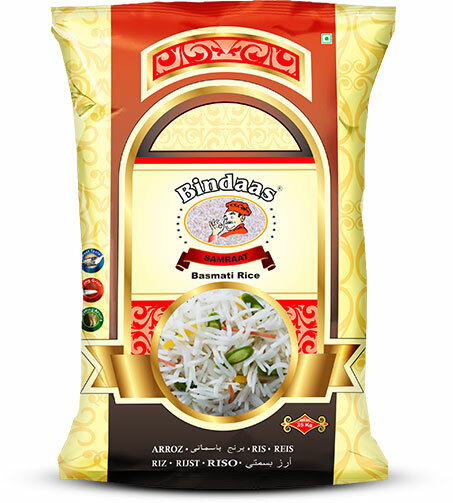 This rice is best used for making different kinds of Biryanis in restaurants and kitchens. Its longevity impresses and adds value to the meal prepared. 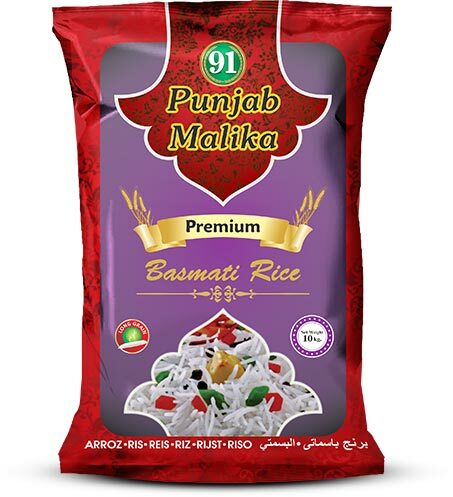 Punjab Malika is one of the favorite Indian long grain rice sourced from the foothills of Himalayas & high yielding areas of Punjab region. Its specialty is in Biryani, Pulao, jeera & fried rice. It always remains the jewel of every kitchen, hotels & restaurants. GOLD INDIA brand specifies the quality as itself. Its smooth texture and thin long grains cook best to make delicious dishes. It gives a delightful experience.